Skoda’s fastest-ever Octavia, the vRS, will be priced at £22,990 to £25,450, it has been announced. The landmark vehicle, which travels 0-62mph in 6.8seconds, will come with the option of two engines and in hatchback or estate form. Based on the acclaimed third-generation Octavia launched earlier this year, the new Octavia vRS showcases ‘engineering innovations, dramatic design and pulse-quickening performance’. Two advanced powerplants are available: a 220PS 2.0 TSI petrol and a 184PS 2.0 TDI – the latter the most powerful ever in an Octavia. Both are available with the choice of a six-speed manual transmission or a DSG automatic. The hatchback version offers 590litres of boot space with the rear seats in position, while the estate version delivers 610litres of luggage room. With the rear seats folded, the figures rise to 1,580litres and 1,740litres respectively. Skoda have also designed a new chassis setup that features a lowered ride height (12mm hatchback, 13mm estate) and advanced multi-link rear suspension design. Additionally, the Octavia introduces a new progressive steering system that varies the amount of lock required according to road speed. 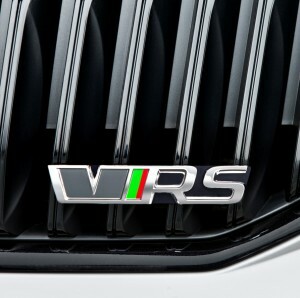 Alasdair Stewart, Brand Director of Skoda UK, said: “The new Octavia vRS has a very special place in the heart of everyone at Skoda. “It unites our love of motorsport, sharp design and bold engineering, and is one of the most exciting cars we’ve ever made.